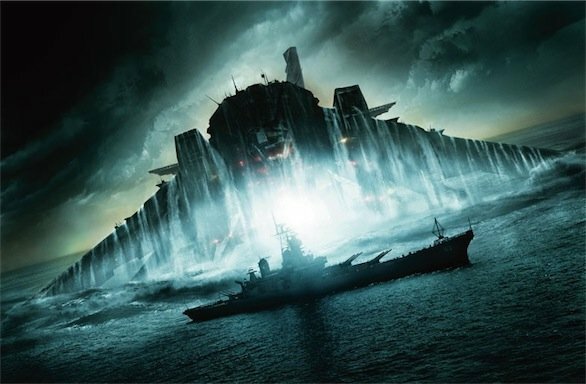 A true USA-style guilty pleasure, Battleship is the cinematic equivalent of a gigantic and juicy cheeseburger. Brainless yet at times self-conscious, it plays with exaggerations, suspended midway between the worshipping of USA values and their desecration. In this sense, much more mature than Bay, it offers the same emotions, yet with a much better seasoning. Vero guilty pleasure in abbondante salsa americana, Battleship è l’equivalente cinematografico di un gigantesco e succulento cheeseburger. Decerebrato eppure a tratti autocosciente, diverte con le esagerazioni, sospeso a metà tra la celebrazione dei valori made in USA e la loro dissacrazione. In questo senso, molto più maturo di Bay, offre le stesse emozioni, ma con un condimento nettamente migliore.